Our comp will be drawn on Tuesday 7th of May and includes postage of your bear. 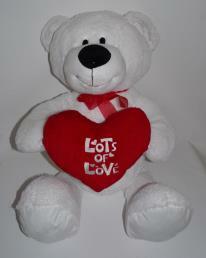 Don't forget to share our page, there are 5 bears up for grabs, give your friends a chance to win too. Winners will be notified via this blog, due to Facebook competition rules. Good luck and look forward to reading your entries. This promotion is in no way sponsored, endorsed or administered by, or associated with, Facebook. You understand that you are providing your information to My Teddy and not to Facebook. The information you provide will only be used for My Teddy promotional purposes only and will not be sold to third partys.